One of the latest diet fads is the blood type diet. This is a diet, wherein the foods to eat and avoid are based on your blood type. A person of blood type O would have a different type of diet from a blood type B diet. Popularized by Peter J. D’Adamo, the diet is based on the theory that different blood types A, B, and O react differently to the food you eat. This is because our ancestors belonged to a certain blood type and we still have the genes passed on from them. So, this is based on the gene linkage theory. 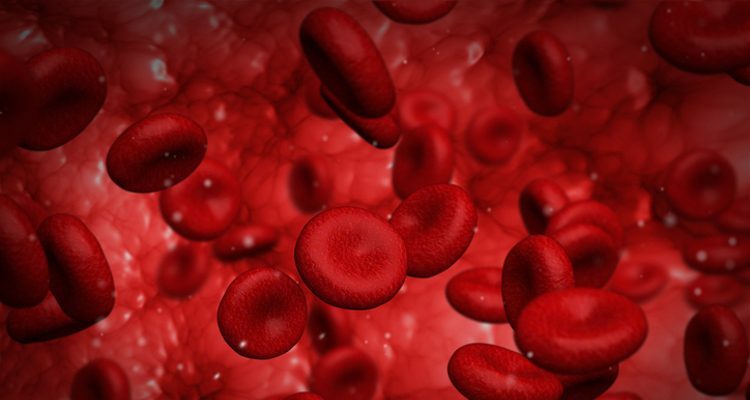 Additionally, different blood types appear to have different reactions to factors such as stress and anxiety, and people with a particular blood type may be susceptible to certain diseases or health conditions, according to D’Adamo. The genetic markers (antigens A, B, and O) bind with certain food ingredients such as lectins—a protein—and cause agglutination of blood. This leads to various skin conditions and digestion issues. Our gut bacteria, which aid in digestion, also differ with each blood type. This factor seems to influence the way our food is digested. But do these diets really work? What are the appropriate blood type B foods to eat? Does it matter what diet you pair with which blood type? In this article, we’ll examine the blood type B diet along with blood type B diet foods to figure out if the diet will work for you. The answers to these questions may surprise you. How Does the Blood Type B Diet Supposedly Work? They would have adapted to their surroundings and eaten the types of food that they would have come across, which were eaten by the other blood types. People with this blood type are highly adaptable, but there are certain foods like chicken or peanuts that their ancestors would perhaps have never eaten. As we mentioned in our article about the blood type O diet, there is very little scientific evidence to support claims that the benefits of this diet are related to blood type. What one person’s ancestors ate might line up perfectly with this diet, but another person’s ancestral diet may be way off due to their country of origin. The diets also don’t account for anything like medications or any food intolerance you may have. There’s no conclusive evidence that blood type B foods will help someone of blood type B, any more than the same diet may help someone who is of blood type A. That is not to say that the diet may not work well for you. It may work, but not due to the reasons stated in the diet. We’ll explain with a look at the foods you are supposed to eat. Foods for a blood type B diet are probably the most relaxed out of all the blood type diets. The restrictions are limited, and it promotes eating red meat and game as well as some vegetables. It also promotes regular exercise. And you’re supposed to eat leafy greens, broccoli, and spinach. Essentially, when you break it down, the blood type B diet promotes healthy eating and exercise as a way to lose weight. This diet is by no means foolproof or complete. The first thing your doctor will recommend if you want to lose weight is to eat healthier. Secondly, they will recommend more exercise. The blood type B diet recommends you avoid chicken and pork, as well as eating dairy in moderation. It has very little in the way of bad fruits or vegetables on the list. The dairy products that you are supposed to avoid, e.g. American cheese and string cheese, are highly manufactured. Duck and geese are perfectly fine for you in moderation, but as far as poultry goes, they are a bit fattier than other birds. Once again, don’t be fooled by the smoke and mirrors. The reason this diet works is likely due moderation and healthy eating practices. They are right, consuming too much dairy is not good for your waistline; but once again, it has nothing to do with your blood type. Diets will come, and diets will go. The more attractive and easy fix of a diet, or if the diet is a novelty, the more traction it will get with the public. A number of these diets may work or partially work—they just might not work for the reasons they claim. The blood type diet in all its various forms is like that. It doesn’t matter whether you follow a B positive blood type diet or a B negative blood type diet, the diets may work for you, but it has little to do with your ancestors or blood type. It has everything to do with changing your eating habits to healthier ones and adding more exercise to your routine. Remember, if you are interested in a diet, do your research. Ask your doctor if the diet you’re thinking about has any medical facts to back it up, and whether the diet will fit you and your health goals. Blood Type O Diet: Does It Work? Leech, J., “The Blood Type Diet: An Evidence-Based Review,” Authority Nutrition; https://authoritynutrition.com/the-blood-type-diet-review/, last accessed February 22, 2017.